What is the best coffee? It's hard to believe, but to create many varieties of coffee used coffee beans with only two species of trees, bearing the names of Arabica and Robusta. A whole variety of flavor depends on the climatic conditions and the location of the coffee plantations in those countries, in which they grow. How can a buyer find out, which is considered the best coffee? First of all, best coffee - it is favorite, as someone who likes the pure Arabica, someone with her mixture of Robusta. Some like coffee sourness, someone strong, someone fragrant. Choose your coffee - it's a matter of personal experience. Therefore it is necessary to try, sample, and try again. After coffees are prepared from mixtures of varieties of coffee bean varieties, grown around the world, on different continents. That's why the choice of varieties, must be considered, where it sprouted grains. Coffee from Colombia is very much appreciated. Here grow most elite and beautiful grain. They always uniform, both the degree of maturation, and for roasting. In coffee delicate aroma and refinement of taste. The best varieties - it Huila Excelso, Colombia Excelso. But on the shelves of supermarkets elite varieties hardly meet. Very much appreciated as an excellent gourmet coffee from Saudi Arabia. A good supply of coffee, Guatemala and Costa Rica, Puerto-Rico, Cuba. Also of interest are the Indian monsoon coffee varieties. Jamaica Blue Mountain - great coffee, grown in Jamaica. Unfortunately, there are many of his forgeries, he malodostupen, Japan buys most of the crop. Coffee Brazil is very heterogeneous in quality. This is due to the fact, that plantations are located at various parts of the country, with different growth conditions. Brazilian coffee is good for espresso blends. 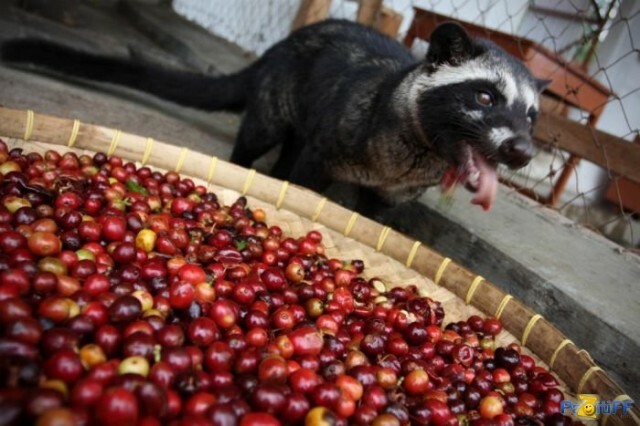 The most expensive coffee in the world is sort of Kopi Luwak. Produced in Indonesia, India, in the Philippines. This so-called fermented coffee, resulting from the processing of fruits small animals Asian Palm Civet,, that they eat and excrete. A similar kind of an expensive fermented Coffee "Black Tusk" produce and use the elephants fruit processing. Great coffee from Kenya, genuine connoisseurs buy it at special auctions and appreciated for the special "sourness". Coffee from Africa often get corrupted due to a long stay in port, in containers prior to shipment, under the scorching sun. But under the right conditions of supply, very good coffee from Zambia. It is often sold on the market as Speciality coffee, it is worth paying attention. Speciality coffee – so called choicest grains of harvest to the world's most famous plantations. They are the most thoroughly tested, to 15 sort types. Delivery to the end user after collection and roasting should be within the minimum time. Concerning instant coffee, it is considered the highest quality sublimated. Its many varieties, determine what like, It can only be to your liking. The best coffee is often the subject of counterfeiting for unscrupulous sellers. We need to pay close attention to the quality of the purchased kofe.Smotrite video with advice on selecting. 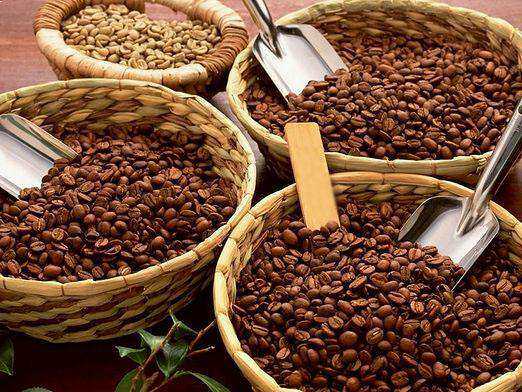 In this article we are only able to briefly tell you about the best varieties of coffee. It is important to find your, information search, trial, the ability to recognize the real quality of the forgery.